A unique reel stand that will quickly set up and lift reels of wire safely and efficiently without the hassle of conventional reel stands. The MJ-707 is easy to store and transport, and can be broken down into a compact size for storage. Able to lift reels up to 3,000 lbs. This versatile 2-piece tool set includes 2 of Klein's most useful tools for the professional or do-it-yourselfer. The 11-in-1 screwdriver/nut driver shaft holds 8 popular tips and converts to 3 nut driver sizes. The blades are interchangeable for quick and easy switch-out. The NCVT-1 provides non-contact detection of standard voltage (50-1000 VAC). Klein's 12 ft. Fish Rod Set contains 3 each -inch x 4 ft. individual sections that may be connected end-to-end for a 12 maximum length. Each rod is made from strong, flexible 1/4-inch diameter fibreglass and is perfect for pushing or pulling wire through existing walls, attics or across suspended ceilings. The threaded connectors are beveled on each end to reduce snags while fishing through tight spaces and can also be used with Klein Tools 5 ft. glow rod. The 12 ft. rod set contains (1ea.) steel "bullnose" and (1ea.) "J" hook accessory for attaching wires. Klein Tools' Twisted Pair Radial Stripper features durable, high-carbon steel cutting blades that automatically adjust to the cable diameters and won't damage internal conductors. Consistent cuts won't nick the inner sheaths. Klein's exclusive external blade easily strips wire jacket mid-span and/or opens wire jacket lengthwise. MAXISJAX - 3,000 LBS. 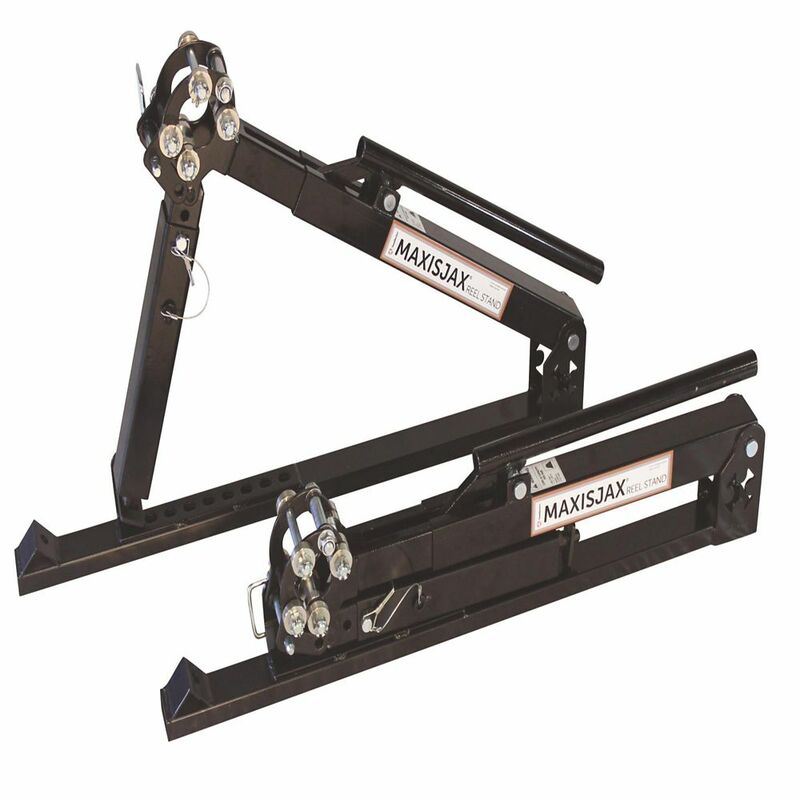 Reel Stands (pair) A unique reel stand that will quickly set up and lift reels of wire safely and efficiently without the hassle of conventional reel stands. The MJ-707 is easy to store and transport, and can be broken down into a compact size for storage. Able to lift reels up to 3,000 lbs. MAXISJAX - 3,000 LBS. Reel Stands (pair) is rated 4.0 out of 5 by 1. Rated 4 out of 5 by Leilani26 from It does the job!